Jennifer joined StreetSquash in 2014. She graduated from Columbia University in 2010 with a BA in Neuroscience and Behavior. She then completed an Ed.M in Prevention Science and Practice from the Harvard Graduate School of Education in 2012. While completing her masters, Jennifer worked as a college mentor and academic coach to students at Charlestown High School. 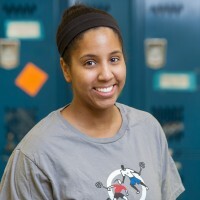 She worked for the YWCA of the City of New York as a College and Career Coordinator before joining StreetSquash.